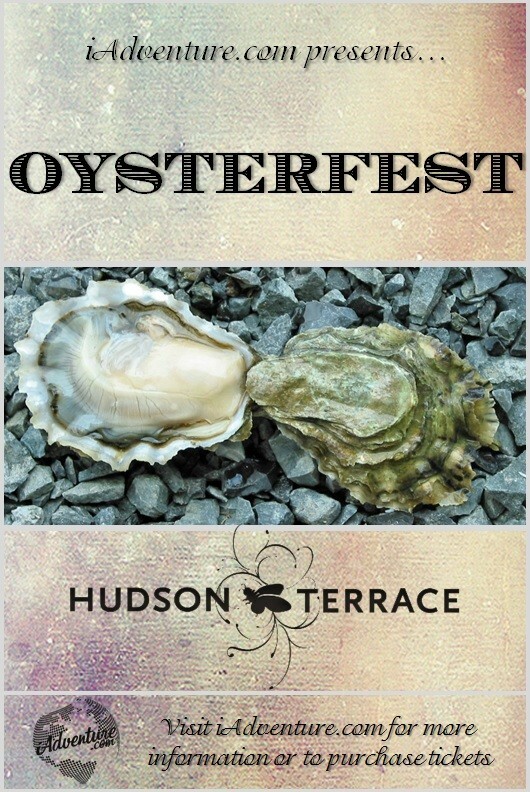 Hudson Terrace is hosting an “Oysterfest” on Sunday, April 28 in its nightlife space in Midtown, Manhattan. UPDATE: From April 19-23, tickets are half-off on Groupon. iAdventure.com, the folks that brought you Pickle Palooza, produces this party event for oyster lovers. Tickets are $70 for one admission or $135 for a pair. Hudson Terrace is located at 621 West 46 Street between 11 & 12 Avenue. For public transportation, take the C or E to 50th St. If you can’t make it to this one, there’s always the more extravagant New York Oyster Week come September.